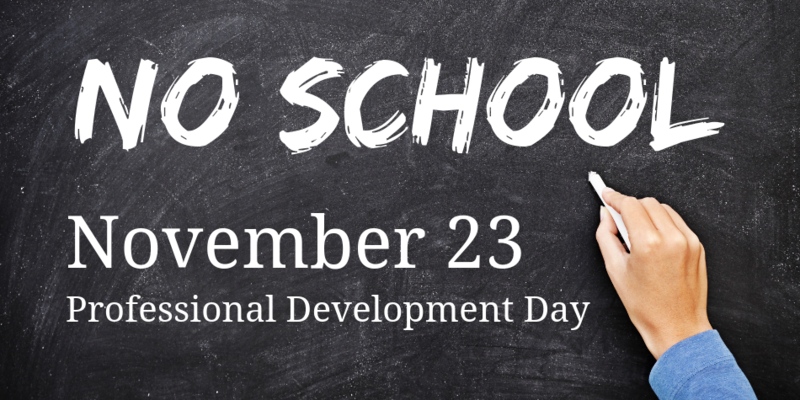 Why do schools have another PD Day in November? 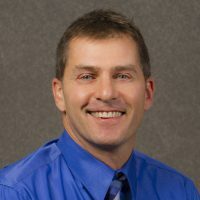 In previous articles in this series on the school year calendar, Assistant Superintendent Mark Thiesen has explained the reasons for teacher professional development (PD). Our community is pleased that our teachers want the very best for our students. It’s great that they want to learn and improve in their jobs, but why do they have to do it during the year? Can’t they just get their PD done in summer? We turned once again to Mark for an explanation. We are a learning organization. We are focused on student learning, as one would expect. But our staff are also learners. We design a PD plan based on the priorities of the division’s Education Plan. While our Education Plan priorities give us the destination, the PD plan teaches us how to get there. In the October article, I described the complex and diverse characteristics of our students. Learning to teach well is not a once-and-done thing. Teaching is more like a craft than an assembly line position. Good teachers are always seeking to hone their craft. They pick up new skills and new tools along the way and like other professions, getting good at these new skills and tools takes practice. Knowing the destination, and knowing how teachers need to practice to get better, leads to the reason for PD days spread over the year. The answer lies in the value of a simple but highly effective cadence: learn—practice—reflect—repeat. If we planned for all of the professional learning to take place in summer, then it would be 10, 11 or 12 months before teachers would come together again to finish the loop. That’s a very slow beat. It would leave no time for refinements or new learning during the school year. We could not be responsive to changes dictated by Alberta Education for a full year. We become less nimble and less flexible as professionals in a learning organization. Instead, we plan for professional development to occur throughout the year. We plan a quicker beat. There is a day in August, prior to students arrival, when professional learning takes a division focus. In October, professional learning is focused on school level student achievement results. In November, teachers come together again for a division focus. Usually we have another school based day in January. March is typically a division focus and finally a day in April completes the cycle with a school focus on Education Plan goals. In between each of these dates, teachers practice what they learn and reflect with others. They bring their experiences and reflections to the next PD event, and with that, the cadence of learn—practice—reflect can be repeated every few months rather than once a year. Since all teachers are part of the Alberta Teachers Association, they also are required to attend the convention held annually in early February. You might recall if you’ve been following these articles about the calendar that we need to have 92 day semesters. You may also recall the story of the Gregorian calendar and the placement of Easter. It turns out that for the 2018-19 school year, placing 92 days in each semester was a challenge. Therefore, we agreed to give up one of the PD days this year. The typically scheduled January PD day is not in the calendar. This year’s March PD Day will therefore focus on school based goals. Spreading PD days out over the year allows us to take advantage of the learn—practice—reflect—repeat cadence. It offers us the flexibility and nimbleness to be responsive to changes and emerging needs in an effective manner. It represents us as a learning organization. After all, our motto is Together We Learn. Home / Division News / Calendar Series / Why do schools have another PD Day in November?